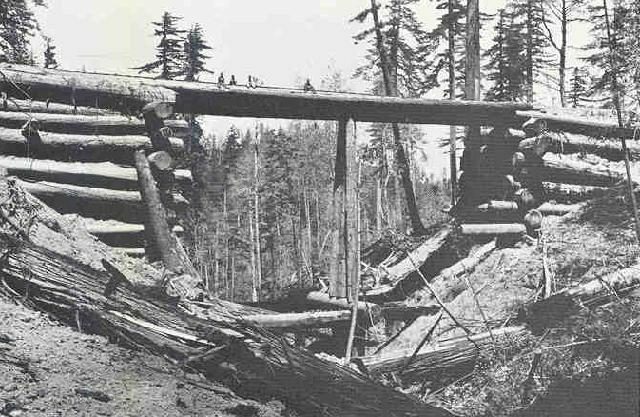 The first use of timber for building bridges probably emerged when someone decided to place a log over a stream to cross over. 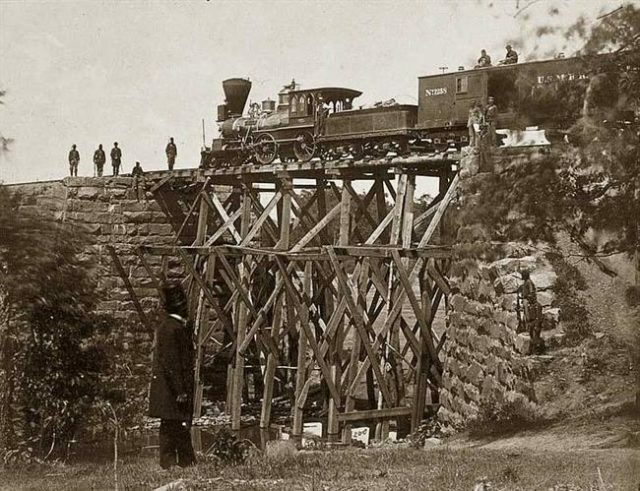 However, the 1830s boom in the development of the railroad started a new era in the building of rail bridges and pushed the engineers to create towering wooden bridges that have become synonymous with that era. 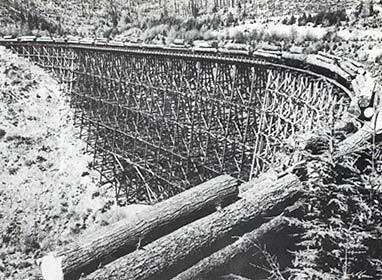 These towering timber trestles are considered the only railroad related technology that wasn’t developed in Europe. 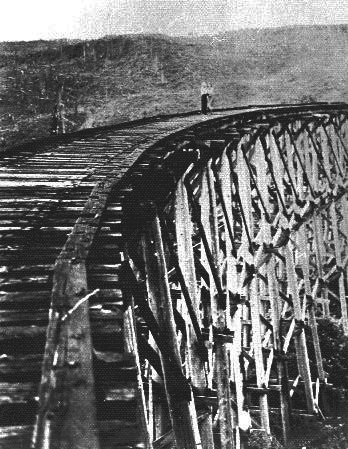 Early timber bridges had their drawbacks. 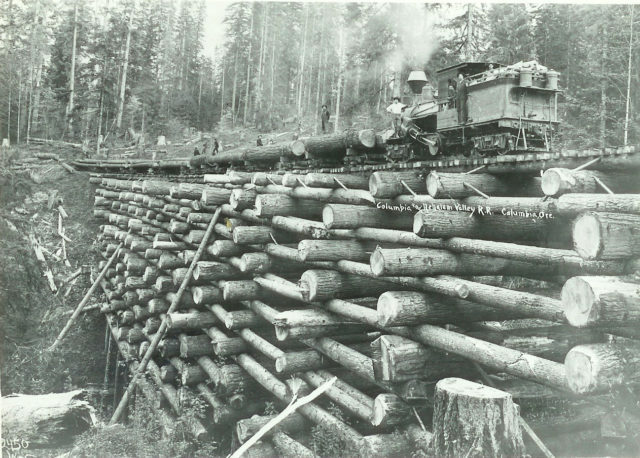 Untreated lumber only lasted about 20 years and locomotives could easily cause the wood to catch fire. 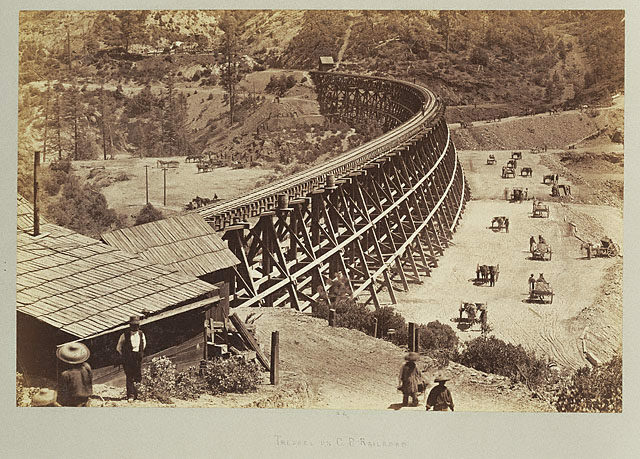 Trestle, Central Pacific Railroad, c.1869. 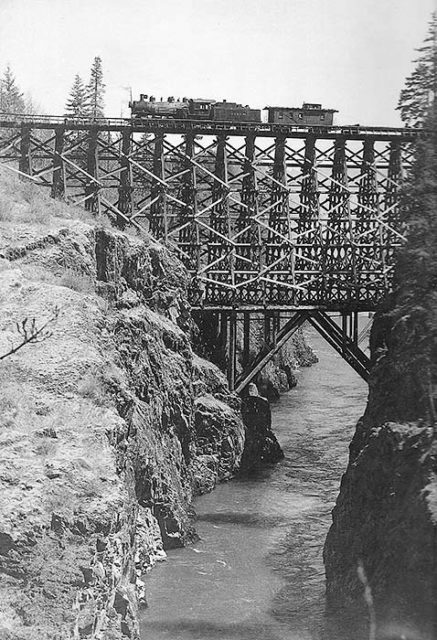 Initially they were a quick way to get the route open but once established, the owners usually had them replaced with steel bridges or filled. Instead, the Pacific Northwest of the United States and British Columbia in Canada took the lead in this field, primarily due to the widespread availability of lumber that was readily available from forests near the construction sites. 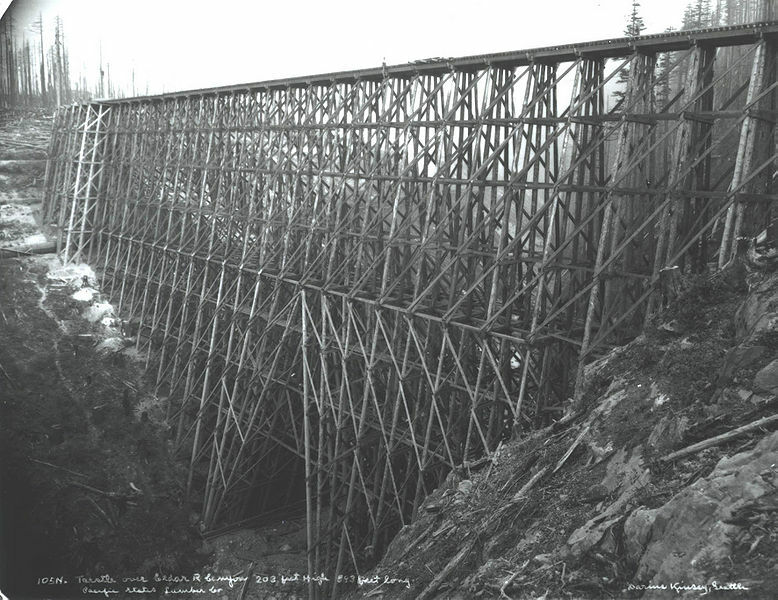 These timber trestles were generally built in two designs with distinct features and functionality.